Do you enjoy using cannabis and don't think of yourself as a traditional stoner? Thanks to the new advances in industry, there's an app for that too. There’s an app for everything, including cannabis consumption. Cannabis consumption has now been completely immersed into the 21st century. Not bad for being almost two decades into it. Companies such as PAX are hoping to continue to bring everyone’s favorite herb into the mainstream with the fancy new technology they’re integrating into their new PAX models. Vapes controlled by an app on your phone are not a new thing, but there have been a lot of bugs to work out in past models. PAX seems to have worked out all the kinks. 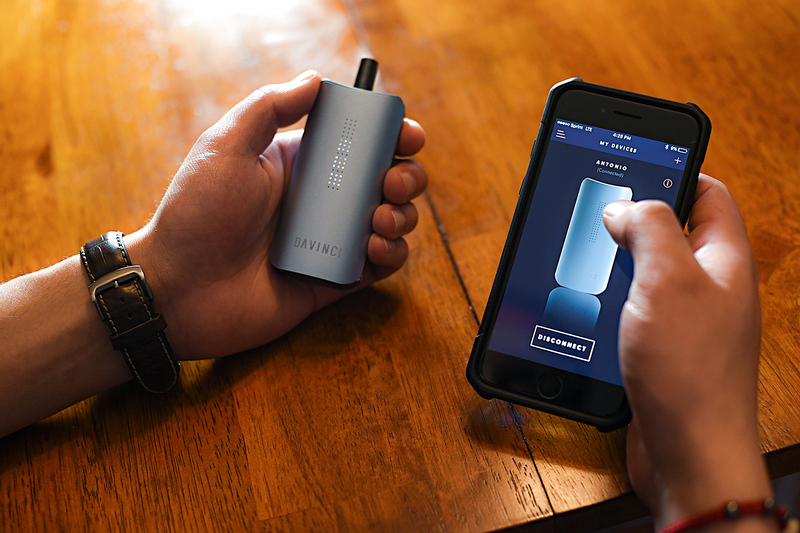 Cannabis tech companies, such as PAX are hoping that their new models appeal to a different type of cannabis connoisseur, the type that would be more likely to attend a high end cannabis tasting party than load up a bong bowl. You know, the type of people who’ve probably never said the word doobie. These are the customers that companies like PAX are after. So, what types of new gadgets do we have? A week ago on 4/20 PAX launched their limited edition Era vaporizer. The Era is different from other vapes because it uses what are called “pods” which are filled with cannabis oils, that simply fit into place much like cartridges on a vape pen would, but better. The cannabis oil used in the Era vape is supposedly much cleaner, and is supposed to resemble traditional Lebanese hash. Will the Cannabis Tech Boom Leave Behind the Old School Weed Smoker? Most likely no. No matter how popular vapes and concentrates get, there will always be someone out there who prefers to roll and smoke a j, rather than pack it into a vape controlled by your smartphone. Just like there will always be people who prefer to listen to records than mp3s, and people who prefer flip phones over iPhones. Will the cannabis technology boom be as big as the smartphone boom? All signs so far are pointing to yes! What are your thoughts on the cannabis tech boom? Do you use a vape that connects with your smartphone, or do you prefer the old school way?